Offering the ultimate in garage and apartment storage systems, select from one of our standard garage storage solutions or enquire about a made to measure options. 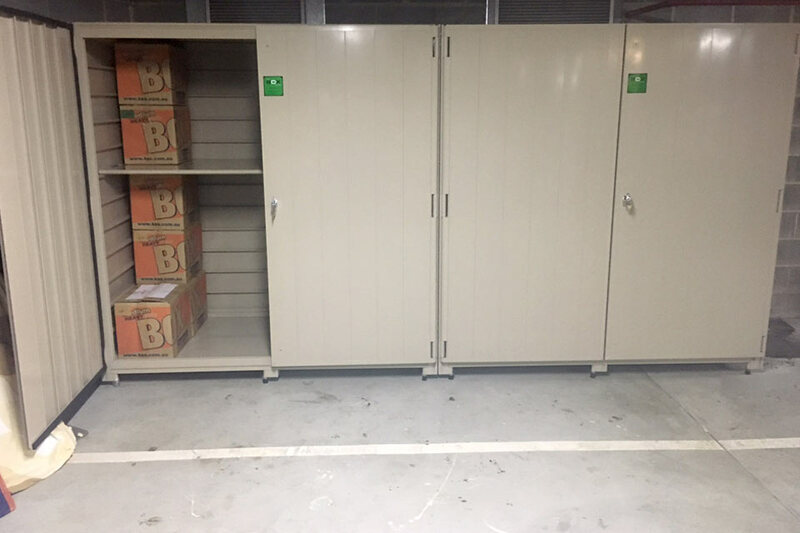 We have an extensive variety of storage solutions and ideas to cater for all your needs from simple storage cabinets to large over bonnet storage, including car park storage, basement storage, and garage storage. 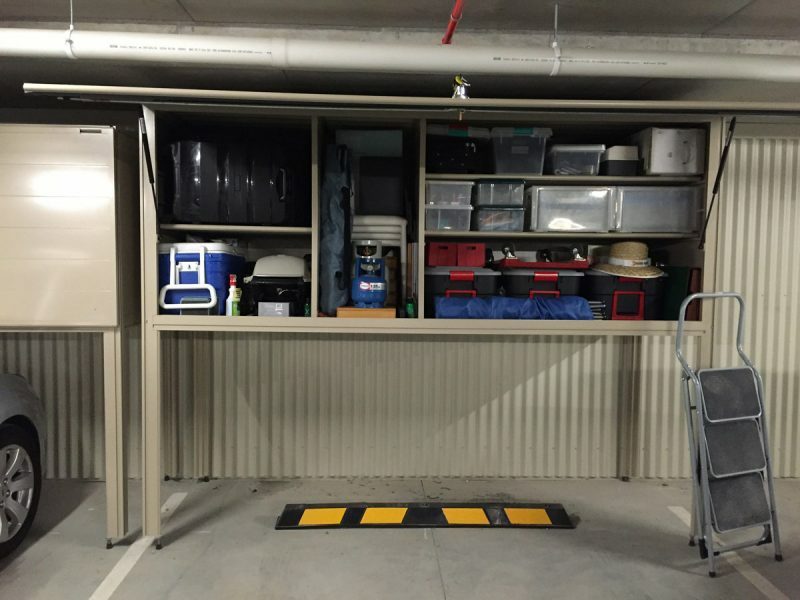 We offer a range of storage solutions designed to help overcome the problems surrounding storage in garage areas. Products like our Over Bonnet Storage System, are a fantastic solution for those once unusable areas. 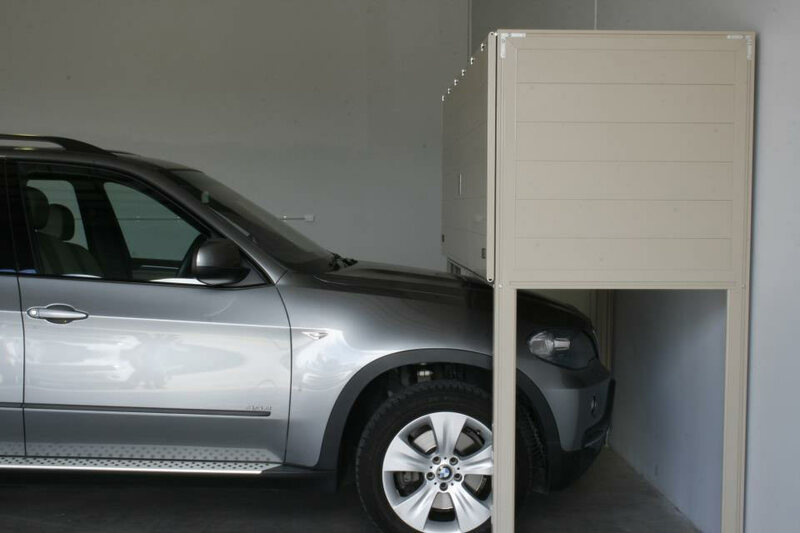 Our over bonnet storage systems are placed at the head of a car space so that the intended vehicle can retain its usual park. Click on the tabs below for more information and be sure to check out the slideshow of images at the base of the page for great examples and ideas for how this storage system can be adapted to your needs. 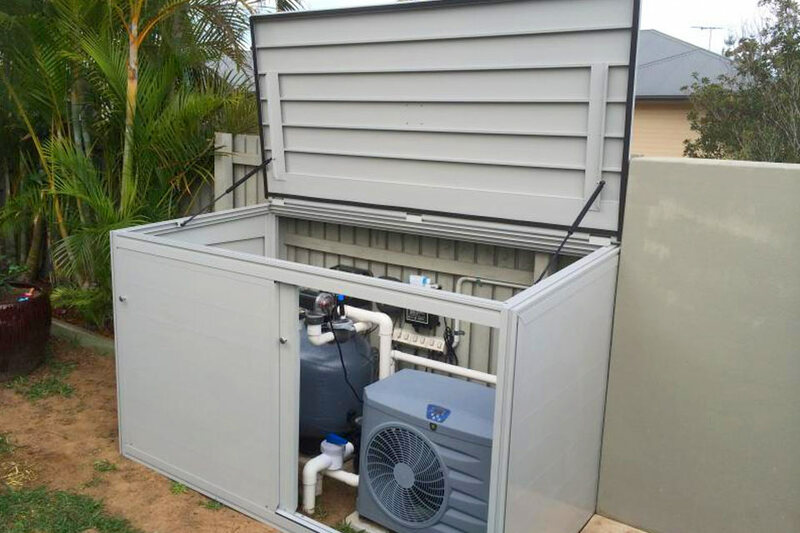 The Box Thing Pool Pump Cover encloses pump and fittings ensuring protection from sun, wind and rain. The Box Thing Pool Pump cover significantly reduces noise omitted by the pump. Sleep easy knowing your pool will be ready for those hot summer days. We offer a range of storage solutions designed to improve space, livability and security. Products like our Garage Cabinets, are a fantastic solution for maximising your storage. Our Garage Cabinets can be placed at the head of a car park, on a balcony, beside the house or shed and in any normally unused area. Click on the tabs below for more information and be sure to check out the slideshow of images at the base of the page for great examples and ideas on how this storage system can be adapted to your needs. From one off custom solutions to the supply of major projects, Apartment Storage Systems can meet your storage needs. 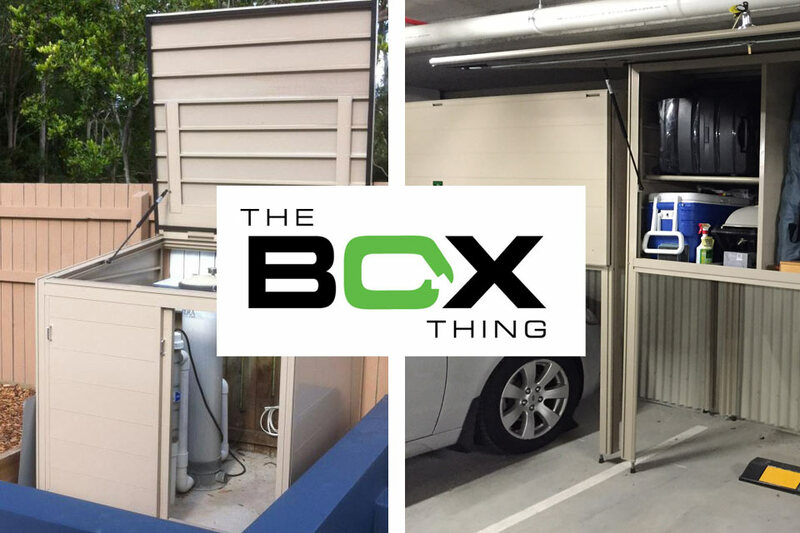 The Box Thing products offer a range of solutions for storage, weather proofing and noise reduction. With the ability to create an individual solutions or supply major projects you can select from one of our standard products or enquire about a custom solution.